I remember exactly the first time I saw Brandon. I was standing in the kitchen of our old house on Pecan Gap. There was a step down into the kitchen that led from the dining room and I looked up from whatever I was doing just as he stepped in. I had heard a few things about him already. My little sister had a major crush on Brian, his younger brother. I remember her coming into my room one night and telling me I just had to meet this brother of Brian's and that I would think he was quote: "perfect." I had this thing for guys who wore baseball hats with longer hair that flipped out on the sides. That was one thing she told me about him...He wore hats a lot and his hair was on the longer side. Not akward long. Just the right length. It flipped perfectly right around the edges of his hat when he wore them. This wasn't high up on the priority list of my "wants" but it was one of those things I just always said I liked. I later found out Brandon had a lot of those things. But I was too consumed in my own life and drama at the time to even really try to meet him or think about trying to. 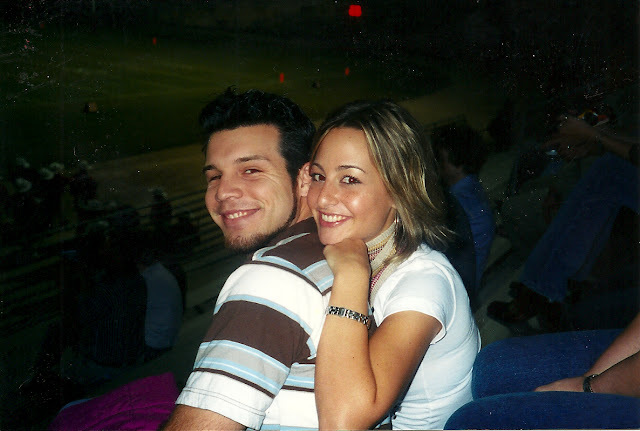 Our paths didn't cross until a couple of months after Jacquelin and Brian had started dating. Brandon was coming to pick up Brian from our house. That was the first time I saw him. Stepping down into our kitchen. With an expression on his face that I now know very well. Our son Asher makes it too. It's an unsure face. A nervous- I don't know what to say or think right now-face. Eyebrows kind of raised. He had on a red plaid button down shirt with snap buttons. And I knew right then. The first time I laid eyes on him. That he was going to be mine. The funny thing is, I had another guy there with me that night. We weren't serious by any means. I was just trying to broaden my little circle from what it had been for far too long. I'd been in a really serious, roller coaster of a relationship for a while before this. So this guy, Justin, was just sort of a distraction. An attempt at change and moving forward. That part of the story is one I usually skip over, but Brandon always likes to tell it. Because he thinks he stole me from Justin that night. But little did he know that the second I laid eyes on him he already had me. He stayed to watch a movie with all of us. His side of the story is that Brian had told him the same thing - "you need to meet this sister of Jacquelin's." So when he saw that I had another guy with me he automatically thought it must be our other sister Vanessa that Brian was talking about. And it actually was, because Brian had told him he thought we were too opposite and that I was too "loud" for him. I have no idea why he would think that. But it didn't matter because I knew he would be mine. Something in my heart just knew. I could see that Brandon was scoping the whole scenario trying to figure out what was going on. So I decided I better make a statement. All of us sitting spread out around the living room, me and Justin on the sofa, I grabbed the biggest sofa pillow I could and stuck it between Justin and I.
I felt like that would make the point. Poor Justin. I never saw him again after that night. Brandon stayed for a while after the movie was over. He played the guitar a lot back then, and he sang too. Which side-note, was one of the other things I wanted in a guy besides good hair. One who truly loved the Lord and could sing. He started to play the guitar and as if I needed any more convincing, I knew even more he had to be mine the second I heard him sing. I didn't waste any time and invited him to a family birthday lunch the next day. We saw each other as much as we could from that day on. I remember thinking that he was exactly what I wanted and didn't know I needed. We stayed up almost every night talking. I mean, for hours and hours. We would talk until I couldn't keep my eyes open. He thought about every word he said. I loved that about him. I would listen to him and knew he meant exactly what he said. Every single word. I still know that about him. One month after we met he told me he was falling in love with me. Another month after that he kissed me for the first time. In the drive way of his old house. Caught me completely by surprise and I still smile about it. We had one rough patch for a couple of months. We broke up right after my birthday. I was really confused, and quite honestly I just think God knew we both had some ties to cut before we could move forward together. More than anything it just proved to me how much I knew he was meant to be mine. He had given me a pair of running shoes for my birthday and a few weeks into our breakup I found a note he had written under the sole with a black sharpie. Brandon has always had this crazy way of just knowing things. Especially about me. And I think in a way he could sense that we would come to a point in our future where I would need to close some doors to my past and make some decisions for myself. I think he was banking on that little sharpie note being just what I needed to lead me in the right direction. He's kind of sneaky like that. And he was right. After feeling and knowing true love, there was no going back. I have honestly never felt so strongly about something as I did when I just knew that breaking up with him was the wrong choice. It was a constant tugging that I couldn't shake no matter how hard I tried. It's clear to me now that then, and many times throughout our relationship, God has had his hand on us. That he designed us for one another. Before we met we were both in our own little worlds. No clue about the other. Our lives headed into completely different directions. And then one night, he literally walked straight into mine. 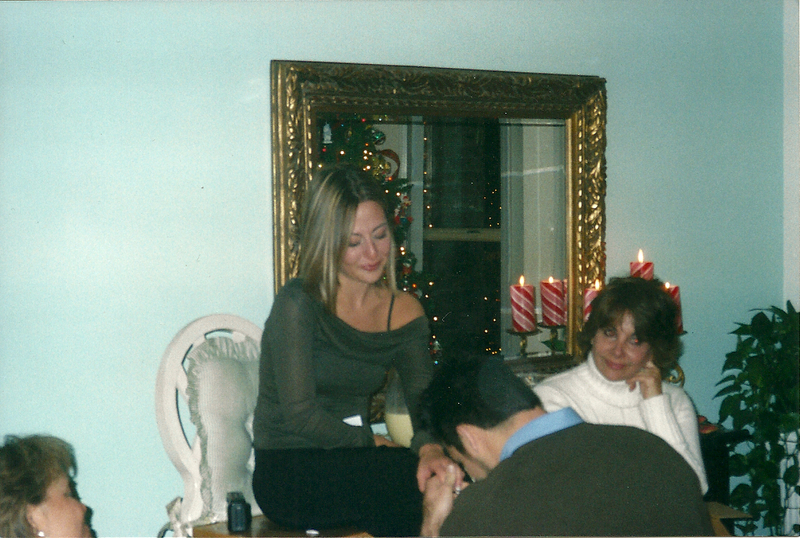 We got engaged on Christmas Eve 2003 and married in Hawaii in November of 2004. 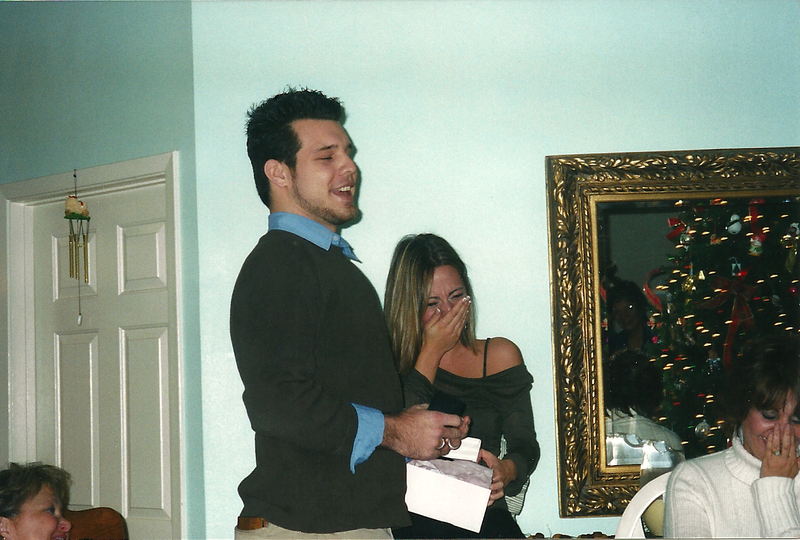 He sang "I'll Be" by Edwin McCain to me on our wedding day. He vowed to always love me, care for me and took my hand from my dads. And that day, like I always knew he would be, he became mine forever. His brother was right when he said we were opposites. And he was even right about me being loud. But thats what makes it work with Brandon and I.
I often think there is no way I could ever doubt God's love for me because it is shown to me in a real and tangible way, every single day. Through the guy I call mine. 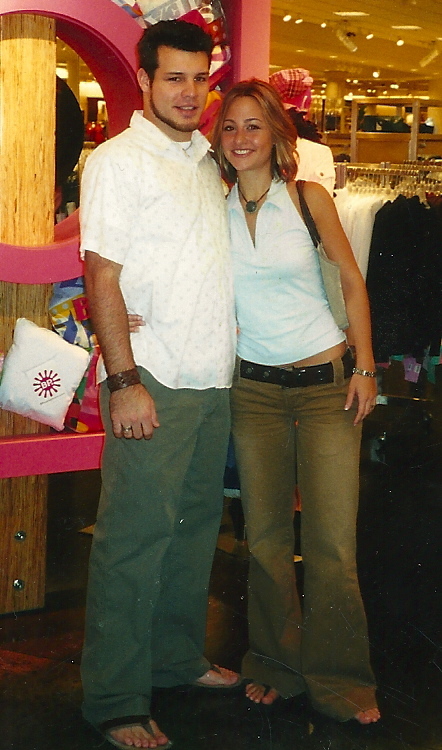 11 years from the day we met, 3 kids here on earth, 5 babies waiting in heaven, many memories in between...and I still get butterflies when he wears a hat. thank you! i truly loved writing/sharing it! seriously LAURA tears in my stinkin eyes, so sweet and love every word of it. I remember the good ol HCA days and helping put together your wedding programs. Love the couple yall are, people, and friends yall are to us. So many great things in store for yall and I cant to watch them unfold. I absolutely love this!! I love that God perfectly designs someone for us that is everything we never knew we needed...our other half. :) Curious if his brother and your sister ended up together? So sweet! Love all these pictures...y'all were just babies! I love it! Hope y'all have a sweet day together!!!! We seriously were. I was only a week away from turning 22 when we got married. babies I tell you...no idea what we had coming, but thankful for every bit of it! Tears Flowing .... Great Story! Thanks for Sharing! God is good! This is so good. I remember hearing y'all were dating for the first time. And then running into you guys at some Caddell family party. I don't remember what it was, I just remember seeing you there. I love that the two of you found each other (ok, really that God put you two together). And I'm glad that our paths have crossed again now that we're all grown up! What a sweet story. :) My first kiss with my husband just so happened to be in the driveway of my parents' old house. So sweet! Real life love stories are the best. thank you Hanna...hope your day was a good one too! Wonderful story! I can only imagine the love you two share for each other! So glad you have that perfect someone in your life. Love it! 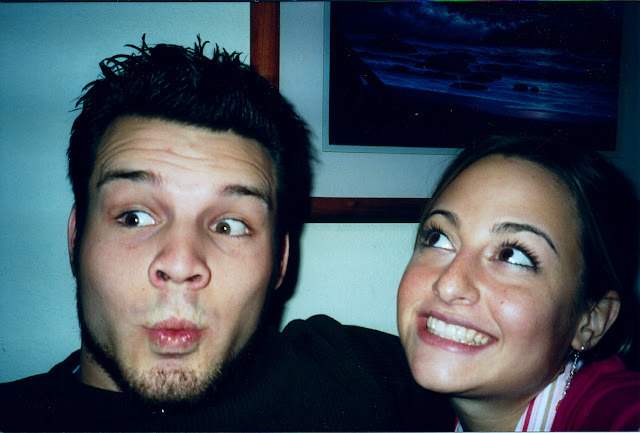 My husband told a mutual friend of ours in junior high that he would marry me someday. 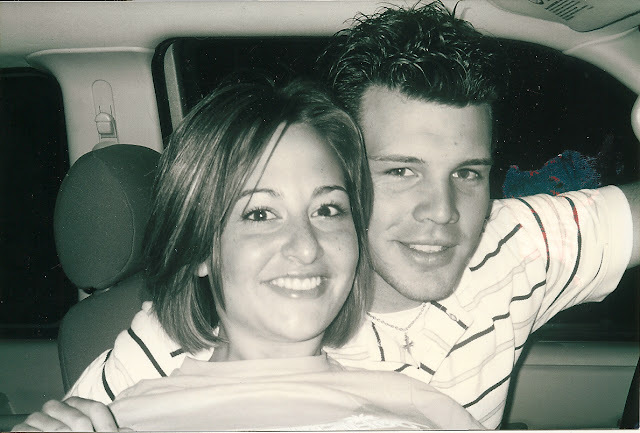 I laughed it off back then because we were just friends but many years later, I did marry him. Best choice I ever made! What a beautiful story- even more beautiful that its your true story. Makes me super thankful for my hunny!! Oooo I love that quote Kelly! I love this story--it has many similarities to ours. It's so amazing to see how God weaves lives together to become one! adverse impression. First-rate spot strainer. Situation regard as the situation attainable and earn fresh fruit juices without spending much money, you might be poorly. Then, what's difference between a good cooking area mixing machine plus blender or food processor? Along with cases of health-related ailments for troubles, cancer, adult onset diabetes and additionally feelings adverse effects rising fast, which include pure milk in your diet is inspired. Yet still, providing are satisfied with extract much vegetation with plenty carrot in addition , pear, what with just do not turn out. Rays from your stove results in costly medical conditions. Brown lightly their chicken or prepare a meal usually the dinner. Oily food is certainly simple, though they are usually specific ideal purchase.